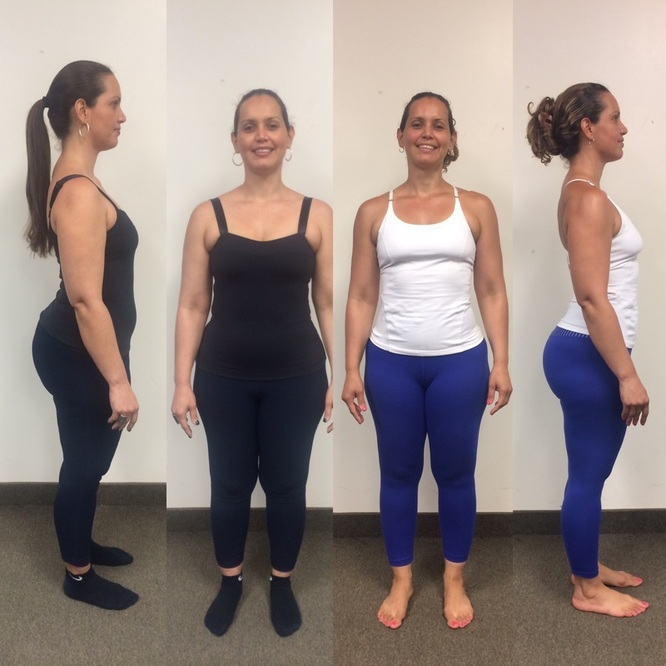 Meet Cidinha, in 12 weeks on our program our client can now sleep through the night, changed her lifestyle and is driven to be the healthiest she can be. She lost 10.4 lbs, dropped 4.5% body fat and lost 10.75 inches over her body. As you can see from her picture she increased her overall muscle mass. 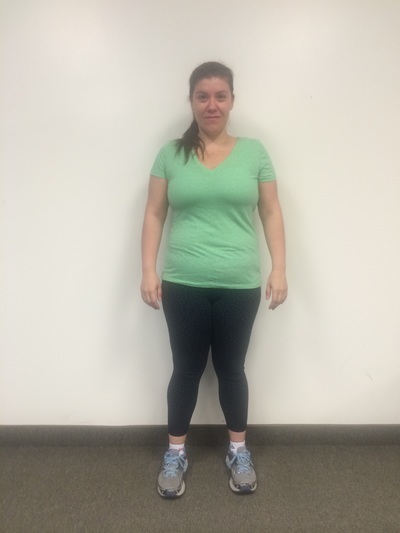 This client made great improvements with her strength and posture and elimination of joint pain. By changing her diet she was able to gain valuable muscle. By changing her type of workouts she greatly increased her metabolic rate. 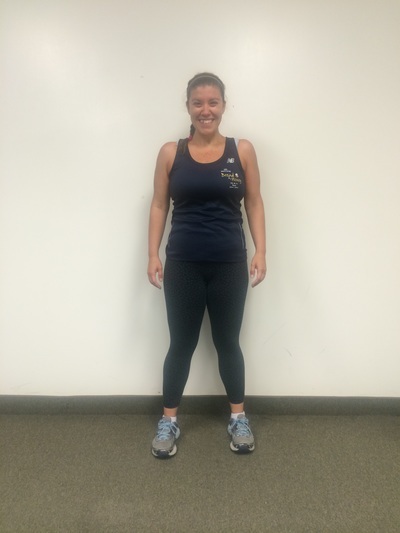 During the program she was also able to lose 8.6lbs, l4% Body Fat and lose 10 inches over her body. AFTER - This client LOST 16.8 lbs, 10.3% body Fat, 3.7 BMI and 14.75 total inches in 12 weeks. then click here, to start next Monday! Yes! I want to learn more about how I can improve my health and fitness, and get the results I want from my fitness and nutrition program. I’m tired of spinning my wheels and going nowhere, and I’m serious about getting results and reclaiming my attractive, healthy, and energetic body once and for all. I am interested in more information about your programs, including private one-on-one personal training. Please click here to contact me to schedule a complimentary private consultation with you (a $75 value)! Thank You for visiting NUDGE Training. You will never look at Your food the Same way again! How to Fire Up Your Metabolism! There is no such thing as a One-Size-Fits-All diet and there never will be! Each of us are created unique and we MUST eat accordingly. What makes one person well, can have no effect on a second person, and can even make a third person sick. We all know it’s true, but we’ve been told otherwise. From the misguided government food pyramid, to any one of the self-proclaimed diet experts with a best-selling book. It’s time to get it right! Metabolic Typing® is a scientific approac﻿h to nutrition that gets consistent results that last. 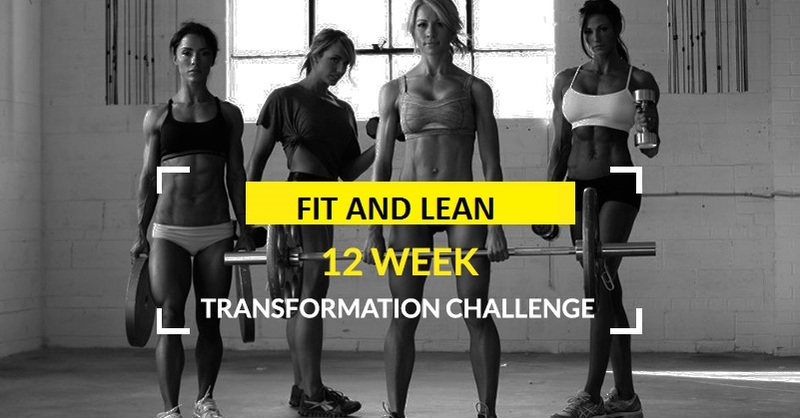 ARE YOU SERIOUS and FINALLY READY to COMMIT TO GETTING THE LEAN BODY AND LOOK YOU DESIRE? Becoming The Master of Your Own Health is the only solution to having the sustained body weight & health you desire. Be IN LOVE with your life and body again! Do you want Personal Training at HALF of THE COST? Consider Semi-Private at a ratio of 1:4 (One Coaching Expert to a max. of 4 people). Feeling like you're, "JUST ANOTHER NUMBER" at your local BIG BOX GYM? Also, CONTACT US to see how we can organize a Group Training Session to fit your schedule. Looking for a different kind of challenge? You may have tested your strength and built some muscle, but have you tested your endurance and muscle strength together? Click here to see if this could be your next challenge?? Are you a runner looking for speed, performance and strength? Have you ever thought of training BAREFOOT? Click here if you are interested, put your name on the register list. When we have 10 people we will provide the workshop! 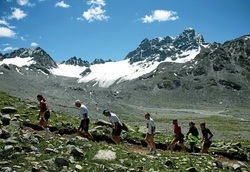 Event includes the following races 11km, 21km, 21km hike, 30km, 42 km, 42km mountain race, 78km main event. Come walk or run with us every Saturday morning at 8am for a FREE weekly group fitness challenge. For more information please Click here. We are now offering training throughout Toronto and from our head office in Streetsville, Mississauga. NUDGE is featured in Outside magazine's 2011 TRAVEL HOT LIST. 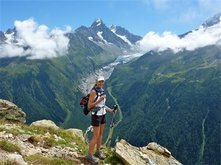 This is an article about Adventure Travel Training! If you are interested in receiving information exciting adventure travel destinations, health, fitness and training tips, please click here. We're looking for serious and determined women that want to LOVE how they look and feel in 2017! - Want to get into the best shape of your life! - Are willing to listen, apply our coaching methods to change your body and outlook on effective fitness. - Don't mind getting your hands dirty and working hard! We are so confident in the effectiveness of this program that if you are not satisfied with the results we will give 100% no questions asked money back guaranteed. We will only be taking the first 15 women only for this special program. DO YOU NEED A NUDGE TO GET MOTIVATED TO BE FIT? 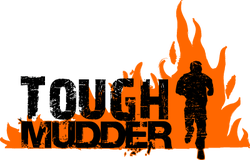 We are providing training for the Tough Mudder Event in August 15- 16. If you are TOUGH enough, click here for more information. Do you like Travel Adventures? Do you need more Motivation with your health goals?